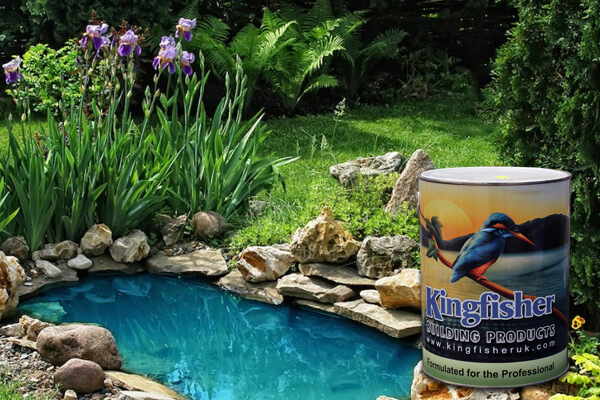 Kingfisher Epoxy Pond Paint is a high-quality universal water-based pond sealant paint. It is designed for easy and safe application to ponds. This waterproof pond paint possesses most of the properties of standard epoxy resins. Although, our pond sealant paint has the added advantage of its tolerance to wet pond conditions. Once applied, the pond paint will provide a tough, durable finish that’s completely waterproof and non-toxic once it has cured. Apply our pond sealant today to form a tough coating that protects the surface of your pond. Five litres of epoxy pond paint will cover most internal and external ponds, ensuring your pond is easy to clean. Having the ability to be applied on almost any surface, this pond waterproofing coating is very easy to apply. Whether you’re looking to apply it to a smooth surface or damp surfaces, it’s perfect for building and refurbishing ponds. Our epoxy pond paint has been developed and extensively tested by us to ensure we provide the finest product. 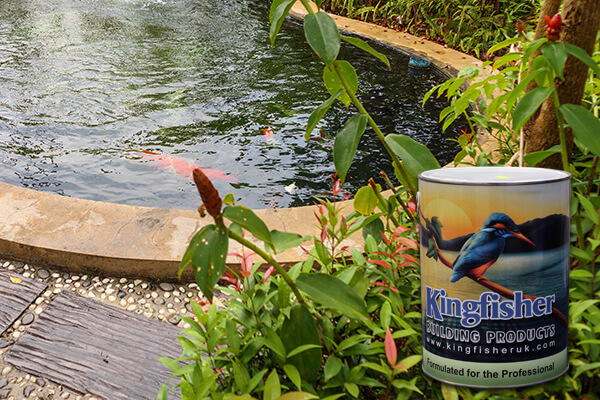 As a waterproof paint for fish ponds, it is second to none, protecting and lengthening your ponds lifespan. Order this waterproof pond paint online today to give you a beautiful, clean pond that you can be proud of.